I miss my car but I thought I would keep this picture and description up for old times sake. Someday I'll have another musclecar again! 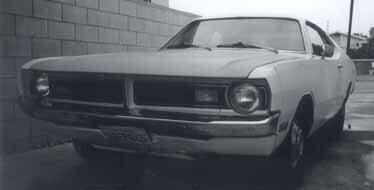 This car is a 1971 Dodge Demon 360 V8 conversion with a 3-speed Automatic A-904 transmission. I hate to sell it but Uncle Sam is on my back this year! This car was originally a slant-six car from Downey, CA. It served me as a daily driver till I had to drive 100+ miles to work everyday. I then retired it to weekend use. The car is currently registered with a clear title, no tickets or anything. Considering all the good parts it has, I believe I am asking a very fair price of $2,500 firm. 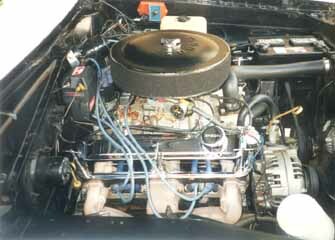 The engine is a cammed 360-V8 with a lopey idle. It sounds tough all the way around. The actual cam profile is not that radical, it just has a 106 lobe separation which gives it that street machine sound. I estimate there is only about 25,000 miles on the motor. 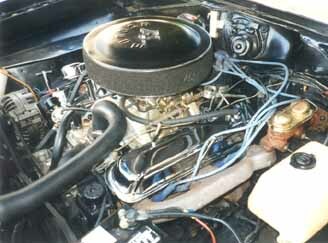 An Edelbrock Performer Dual-Plane manifold sits below the matching Edelbrock 650cfm carb. Exhaust is handled by hi-po exhaust manifolds (I paid a pretty penny for these) going through 2.5 inch pipes and Flowmaster mufflers. Ignition is Mopar Performance electronic ignition with the Orange box, large Mallory coil, and Taylor plug wires. I have a Cagle fuel regulator on the line which keeps gas mileage pretty good for a V8. Inside there is a new back seat and two racing buckets in front. (I often remove the passenger bucket for trips to Home Depot, it works great!) 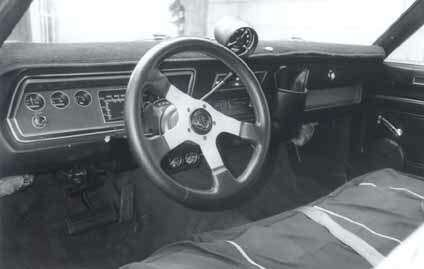 A tachometer sits on the dash with an oil pressure and temp gauge on bottom. The radio is an older Sony face-lift unit but it still works. The doors hold two Pioneer speakers and the package tray is ready for two 6x9 speakers. The original style trunk mat is in decent shape and there is a spare tire. Wheels are original '72 5 on 4 bolt pattern Rallye wheels from a '72 318 Demon fitted with BF Goodrich rubber, 215's up front and 245's in the back. The front bumber is in great shape, it was rechromed a couple of years ago. I weighed the car with a full tank of gas and it was approximately 3,100 pounds. I believe in being completely honest so I will tell you what the car needs and what I always planned for it. First of all I would upgrade the brake system as the car still has the Slant six all wheel 9in drum brakes. They are OK for street use but don't even think of racing in it with these brakes! The rear end is also the puny 6 banger stocker. This keeps freeway rpm's low but I am surprised this powerful V8 hasn't made shrapnel of it yet. I tend to punch it from a rolling start so as to not break it! This car needs at least an 8 3/4 unit. The body needs some work. The car is white (originally blue) with a primer hood. The passenger side fender needs fixed or replaced and there is a dent on the driver side door. To avoid rust I ripped off the vinyl top. I also ripped out the sagging headliner. The trunk floor will need to be replaced at some point and there are some spots of rust in the passenger compartment floor due to those damned leaky Mopar body gaskets! The original floor is the vinyl type and is in decent shape but has some tears in it. The front suspension was completely re-done a couple of years ago but already those pesky strut-rod bushings should be replaced. I just had the Pitman arm and one of the tie-rods replaced. Here are some more final pluses about the deal. Here in California this car doesn't need to be smogged. I will throw in any spare parts I have for this car. For example I have some trunk decals I bought from Year One and a thick front sway bar from PST. I also have a couple of Demon books including the Haynes manual. Here are some pictures of the car. The bench seat has been replaced by 2 racing buckets. The hub caps are now cool rallye wheels from a '72 318 Demon.